We skipped a couple of weeks posting. As with any routine, there are times when something else takes priority. Sometimes it is appropriate to drop the old routine completely, and sometimes the activity is still important, but just needs to sit to the side for a moment. Creative writing is still a near and dear priority for so many reasons. This month, however, writing has been done plentifully for our new business. Anne has been a personal trainer for years just as I have been organizing homes for years. We decided a service business combining our talents would be a marketable and beneficial combinations to us and our clients. We both see people getting stuck in habits, sometimes in a spiral that pushes people into depression with only one way to break the cycle: gather up all your remaining oomph and JUST DO IT! Sometimes, the outsider like us, rather than a family member or friend, is just the person to push or pull someone out of that cycle. We don't know your story, we don't judge you, we are just here to add to your momentum. If it's your physical self getting in your way, call us. If it's your surroundings, call us. If it's making a plan or goals and sticking to that, we can help you stay motivated with check-ins. Our main goal is to help people reach their potential, then stay healthy, stay motivated to move to the next bigger brighter goal. We want to live our lives fully and we hope to help others do the same! We have a new computer system to learn. We have a new office space to set up in a way that will keep us motivated. We have a town to network - if we can not help someone, we hope to know who can! And we have clients to bring into our world. We have a Facebook and Instagram presence to establish. Anne and I have combined our services to create one business based in Hallettsville called “Solutions.” She is focusing on personal training, food, and habits. I am focusing on home organization, photo scanning and stuff like that. Together, they create Solutions for Mind, Body & Home. Our office space is on the downtown square of Hallettsville in an old building built in 1888. We are upstairs down a long hall that opens into the front room of the building with three tall windows looking straight onto the courthouse decorated for Christmas. Our side of the courthouse says “LOVE.” I am completely in love with the space. Being upstairs, and in a new town, Anne is working hard to make herself known by creating a community of people we both know and hopefully growing by reputation and word of mouth. And she is striving to expand her online presence. Not the worst view in the world! To participate, just send us an email with “YES” from the email address you want us to use. Anne will put your name in the system and you will get an email with a password so that you can sign in to see the videos, etc. I encourage you to say YES even if you are doubtful of your abilities to complete this just because this is one huge experiment bound to have funny moments and major bloopers… and I’m all for a little laughter - that’s what keeps me healthy!! 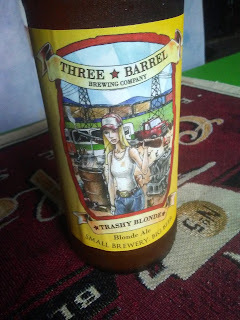 In opening my computer to write this blog, I noticed I had not been on since two days ago. We’ve been busy. Good for us. Busy means doing, not talking about. The Eggcellence, Abby, Macy, Stoli and I have had adventure all year. We have not given up on adventure, but the world doesn’t stop because (like many others) we like travel. Graciously, we were allowed the gift of travel in 2018. Travel in 2019 will be an even more precious gift and probably a little different in nature, but certainly not gone. Now however, it is time to get back to work. We are excited about the work we have laid out in front of us. I have always argued and pushed my clients on the subject of work being something they enjoy doing, not a daily grind. I have encouraged clients to quit their job. Not in haphazard abandonment, but in pursuit of a life that they can find pleasure and enlightenment, as well as pay their bills with a little left over. I don’t feel like my parent’s generation had this opportunity and I can’t speak for the generation following me. But I think everyone has the capacity to look around and decide “what they like to do” and how can they make that work. It is not wise to tell people what to do. But leading by example is perfectly okay. So, as I said; it is time to get back to work. Abby and I are taking a new plunge for 2019, highlighting our talents and interests, invoking a little risk and liberating ourselves to continue with our hobbies, working on writing, improving the property, and hopefully providing a network for our community and reaching a little further if all goes well. Not to worry, success or failure, we will always keep our feet moving, one in front of the other. I am big on goal setting. I am also big on letting things shift if the goals turn out to be not quite right for the time. For some convenient but otherwise unexplainable reason, I set goals per calendar years. My years end with a couple of busy months at Texas Renaissance Festival and setting up Christmas decorations for my organizing clients. During this time of not having to scramble for work, I decide how my next year should go. I make notes and goals. Anne's calendar year is similar being a personal trainer. People set goals and make resolutions for the new year making January a natural launching point for ideas and business plans. Planning for 2019 is getting very very exciting. We will be able to tell you more very soon. So many things to announce very very soon... I hate waiting. For now, Anne is steadily trimming trees and making the property tidy and neat while I play music at the Festival. I'm trying to keep myself busy so that I don't spill the beans on the big plans before we're ready... I so hate waiting! I would have told you another Alaska story this week, but I'm pleasantly preoccupied with festival music and planning for 2019. I promise to get back to real stories and real writing soon! Having absolutely nothing to do with the fact that Halloween was only yesterday, today’s post comes in the form of a few sentences about cemeteries. 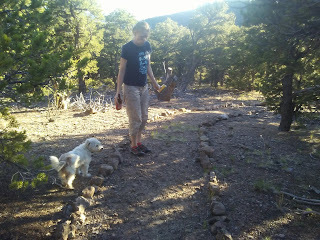 On all of our travels this year, Abby and I marveled over the vast number of cemeteries. Not the big giant kind I grew up around in Galveston where we held our breaths for the drive by, or as teenagers, challenged ourselves with a sit and chat to no one in particular. These cemeteries Abby and I would see advertised were down dirt roads that seemingly went off the side of the earth when I would peer down them trying to catch a glimpse of a graveyard, often a family plot, as suggested by the name of the cemetery. When it was convenient, we would stop and muse over the script etched into the stones of granite or marble and the lives of people we didn’t know. In my experience, cemeteries either fascinate a person, or absolutely don’t. I am fascinated. To me, cemeteries are not simply a boneyard of the forgotten, but history, alive and well. Gravestones tell a story and conger the imagination of a time before today. It is very much going back in time, in an instant. There are famous cemeteries, private cemeteries, cemeteries divided by race or distinction. 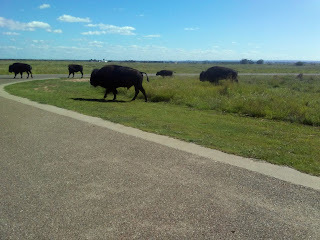 Texas has MANY cemeteries and they are very big. 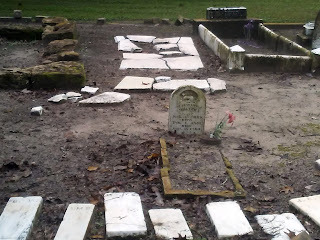 There is one nearby in Victoria, where (I was amazed to learn) I have several renowned buried relatives! I also learned I have relatives buried in Cuero and Austin, crazy. Mostly however, I am intrigued with the forgotten cemeteries. 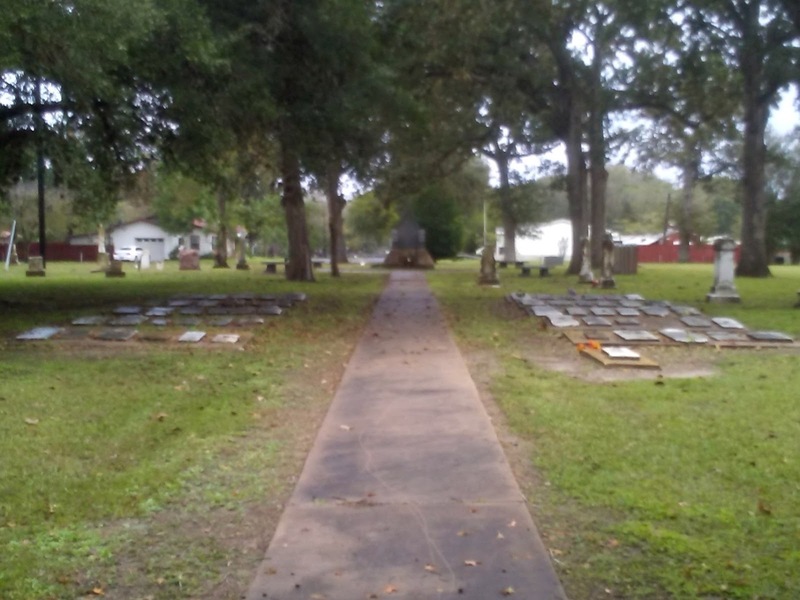 A large number of tombstones in Lavaca County have been moved from one cemetery to another. In some cases the bodies were reinterred, but often just the marker was moved. 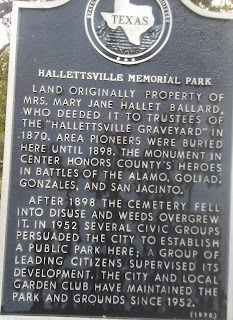 The Hallettsville Memorial Park has a lot of markers lying in slabs of concrete and it's believed that many of these were moved into Hallettsville from rural burial grounds in an attempt to "save" them. 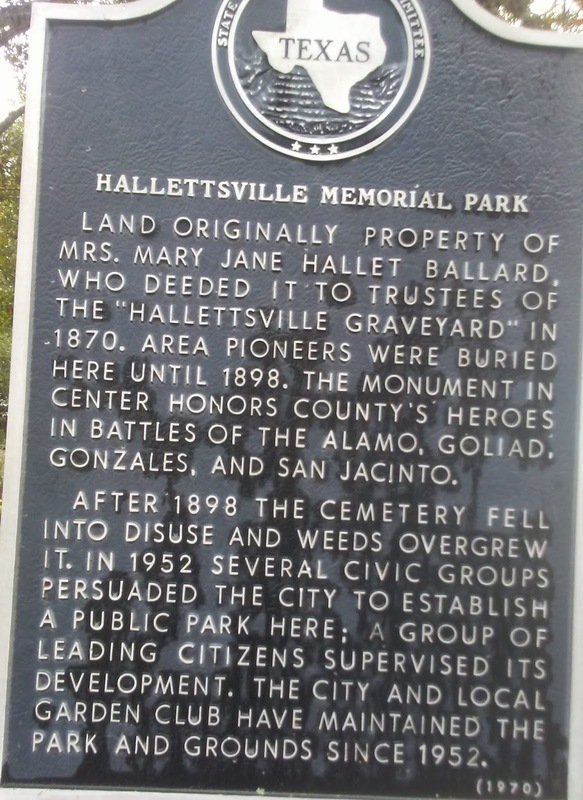 Similarly, a large number of markers were moved to the Hallettsville City Cemetery after it opened in 1890 from the Hallettsville Memorial Park which was poorly kept at the time. That's how some markers in the new cemetery have death dates that predate the cemetery. There are several cases in Sammy Tise's cemetery books where a person is listed in two cemeteries. We also know of several cases where markers were moved to another county. Please contact Regena if you can contribute to this list of displaced markers. 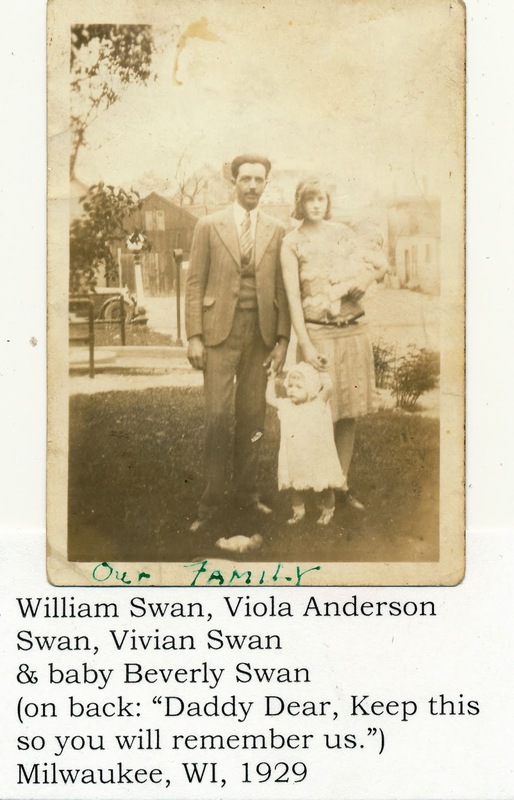 Last week, Abby wrote a bit about genealogy which is a subject, I myself, was lucky enough to get treated to, by a friend that essentially broke down a huge hunk of my family, on my mothers side, producing a book at the end. 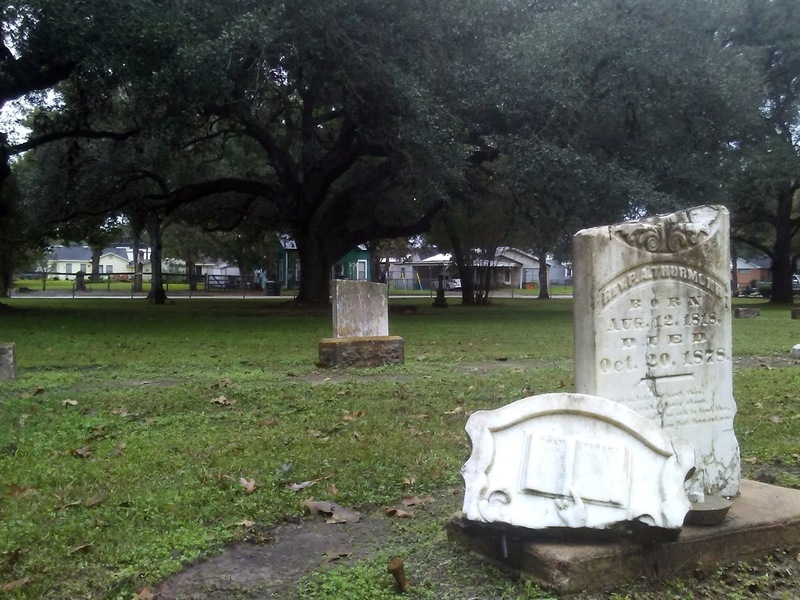 There is a tie between genealogy and cemeteries. The book led me to lots of interesting stories and grave sites. I now assume, that all of the graves I visit have a story and what fun learning or imagining what they might be! 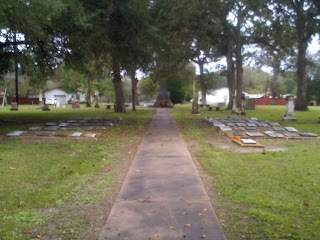 Hanging out in cemeteries is not creepy, it is educational, thought provoking and encourages creativity. 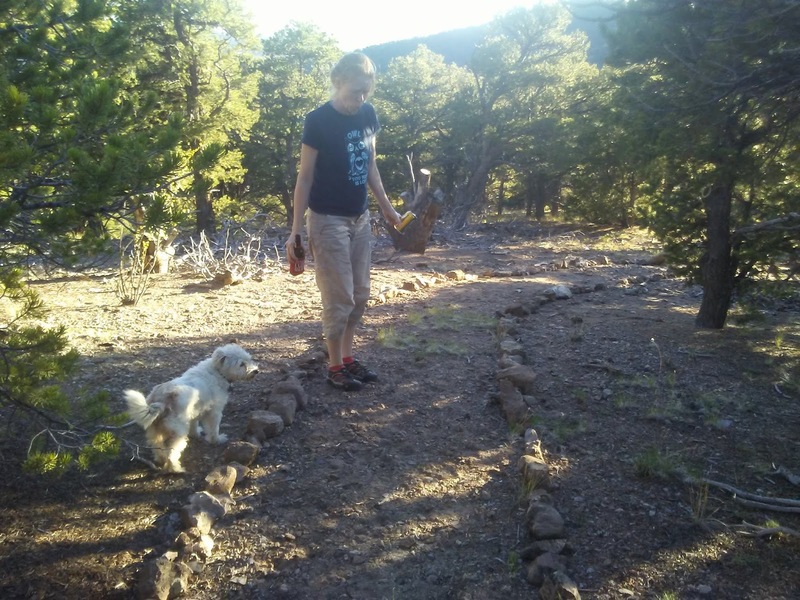 It also is a great way to get outside, not just the environment, but yourself. I am in the middle of an obsessive project. Anne supports the obsession by making sure I get dressed in the morning and eat a good dinner in the evening. 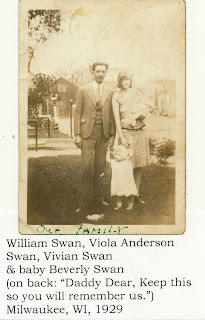 The obsession involves identifying family members in old photographs (my mom is helping immensely via text! 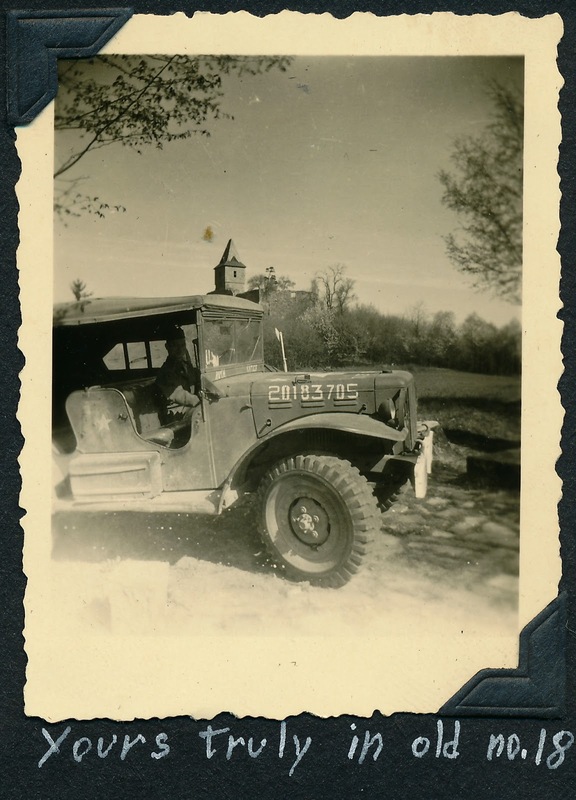 ), typing labels for these photos, and then scanning the photos with their labels so that future family members can see the family story. I scan photos for people as part of my work as an organizer. 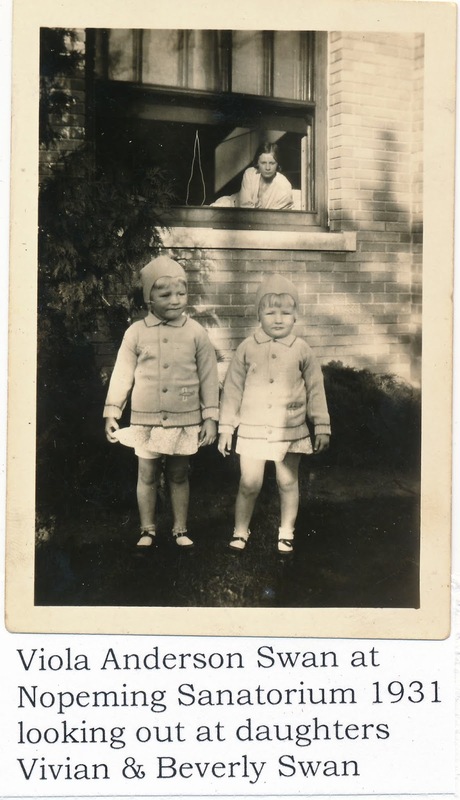 I have often thought, and even commented to my clients, that these photos or family letters that they have had me scan would be an amazing glue for a novel or some other type book. I have a particular fascination with history, simple factual history, the fact that what happened even 100 years ago is all but a mystery to us today. Autobiographies are written about famous people of 50 or more years ago that are so full of guesses, probablies, and we-thinks. I wonder how on earth we lose information so quickly. Here I am scanning photos of family members born just about 100 years ago. In those lifetimes, they existed in a world I can not even imagine. My great grandmother, for example, was diagnosed with tuberculosis, went to a sanatorium, where she was treated in isolation from the outside world and eventually died. I have approximately 5,034 questions. From the diagnosis to her death… HOW did it all play out? Did she go home to pack a few things? Was she instantly and immediately quarantined? How do you feel about these things as a 22 year old mother of two daughters??? She lived there for about a year. What did she do? How did she pass time? Did she write? Is there any hope of recovery or do patients all intend to go and die there? She died leaving two very young daughters with their father in the middle of The Great Depression. These two daughters ended up wards of the state growing up in a State Public School, but their father never gave up his rights to the girls. Rather than adoption which would only be possible if their father gave them up, the girls went from foster home to foster home which often meant being a servant to a family who needed help. The way children’s protective services has changed since these days is truly unbelievable. What was acceptable, required, and expected back just 80 years ago is simply stunning to me. How can I be so removed from the reality of just 80 years ago and from a situation that was a family reality no less??? These are the questions that compel me to scan photos for my own family and for other people with boxes of photos and old albums rotting in the basement. These days scanners are available for a very affordable price-tag. People can certainly scan their own photos. My clients hire me (for 19 cents per photo) because often, these jobs are incredibly overwhelming, exhausting, and time consuming even if you move quickly and know exactly what you are doing. I scan photos for other people, then they can label the photos once they are in digital form. The overwhelm is greatly reduced. The albums can still exist for those of us who enjoy the tactile existence of old paper, but the color and integrity of the paper will be preserved digitally as those colors fade and paper disintegrates in real life. Anne and I read the first two Miss Peregrine books by Ransom Riggs. These books are written for a young audience but employ the concept of using old bizarre photographs to propel the storytelling. I positively love this concept. 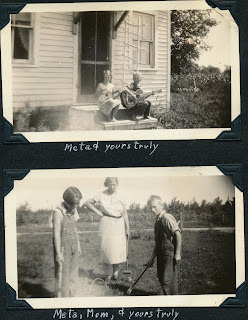 With all of the photos I am currently scanning, with all the questions that I have swimming in my brain, with all of my desire to write a story that floods the mind with awe and imagery, I am beginning to outline a tale using the tales of my family of this 1930’s time. The fact is, this book will be complete fiction even if I use the correct names and dates. The important part of any story is the way people feel. I can’t possibly know any of that. And this takes us back to my fascination with history of the not-so-distant past. Even a well researched autobiography of a famous person is put together with suppositions. These render the entirety at least somewhat fictitious. Even a biography written by a person about her own life in the here and now could be considered somewhat fictitious. One person’s point of view in any particular situation might be another person’s complete fiction, and not because one is lying. 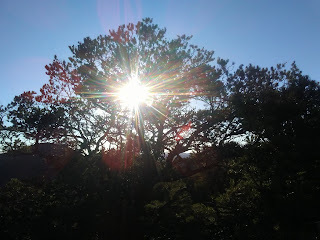 Points of view, ways that we each internalize the world around us, these are individual and not universal. For now, I will finish scanning all these piles of photos and keep them safe for any family member of the future who cares to see them. Maybe, just maybe, I will find a way to tell a story with them. One fish, two fish, red fish blue fish….wait, there are no red or blue fish. This post comes a day or so before there might have been some red fish, but there is just too much going on right now to make the journey to the coast as we had planned this weekend. So, instead… a little about the fish we do have, have had and will continue to have for the entirety of the rest of the year. A little safflower oil goes onto the comal and a spot of butter, until it all comes to a bubbly froth, glistening with the anticipation of the giant side of a pink salmon laid flat into the sizzle that sears the skin to crispy perfection, all while cooking the flesh to a idyllic, moist, tender flakiness. skin seared pink salmon a.k.a. 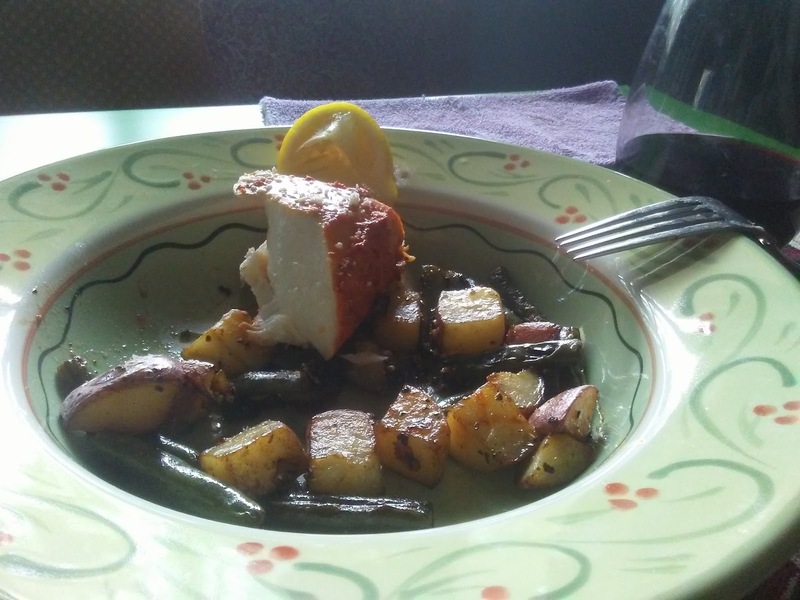 "trout"
This is how I have come to cook the load of pink salmon that we brought home from Alaska, the pink salmon we have appropriately granted the name, TROUT, because that is the consistency, texture and flavor and there are no complaints here. The skin is very thick however, so the comal searing method is the best for getting the skin delightfully crunchy, countering the lemon, pepper, butter, caper and whatever herb or addition to the topside of this fish. 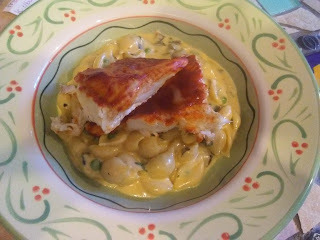 I grew up in Galveston, but learned to cook little else besides shellfish. I am making up for it now!! Anything one can make with trout, we make with our pink salmon. It makes for a different kind of “salmon cake”, so we make trout cakes with shallots and Poblano peppers, instead of onions or traditional bell pepper. The other method to disguise the hearty skin, roast and discard it! But what about all of the other fishes we brought home?? The halibut, has exploded in creative ingenuity as far as recipes go. Abby, delighted in pursuing the quest for the perfect halibut ceviche. I think it went marvelously, or at least my taste buds did, with the lime and lemon acidity cooking the fish to the texture of….let’s just say, tender morsels of meat that almost melt in your mouth among the creamy avocado, crunchy cucumber, bits of red onion and Serrano pepper. Yum! Abby's ceviche....yes, that is cleverly a Chimay glass. Recently, we grilled halibut and mango kabobs with Anaheim peppers on the skewers for a little kick! Lip smacking! When all else fails and we just want a good hearty piece of fish, out comes the comal again, this time with a slide into the oven, bathing the halibut in one of Abby’s favorite sauces for a marinade/glaze. I think I got a picture of one of those just before she polished it off! oops, almost missed a shot of this halibut...looks like cheesecake! It has been raining like crazy for days. The cooler dryer air invited us both outside all day. We have never seen so many varieties of mushrooms in white, yellow, and reds. Anne regrets not documenting them earlier. Each day, there seems to be a new one. The resident squirrel eats some of them, but we are afraid that squirrels might be able to metabolize things that humans can not, so we decide not to follow the squirrel's example. 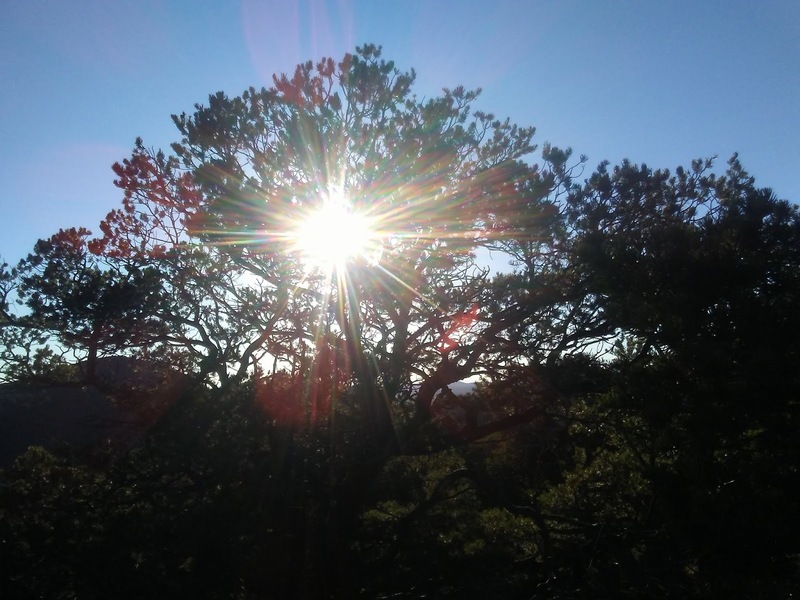 There are also yellow, white, red, and purple flowers and greenery that comes alive when it rains like the ferns that grow directly on the bark of many of our oak trees. The oaks look like fluffy green muppets for a few days and then the ferns go dormant and brown. Then there are the animals. Pairs of wrens look for a place to nest - the back porch? "Twitter twitter not here" they say. The tractor wheel wells? "Twitter twitter not here" they say. Who knows where those silly birds will set up. Tiny quarter inch long toads hop along the ground. We amazingly huge giants fear our own footsteps. We don't want to crush any of these tiny creatures accidentally. We tip-toe from workspace to workspace with our heads facing the ground at all times. This one followed me around the property while I took pictures. Anne and I saved scraps from our Alaska journey. We chose the photos we loved best and had those printed. It took me a couple of weeks, but I managed to create a scrapbook of all of the materials and photos. It's amazing to us looking through it what memories and writing ideas are sparked upon seeing a simple receipt or photo of a cheeseburger. It gives me hope that we will manage to write a few more things about our travels. Anne and I have been looking into an office/studio space in town. 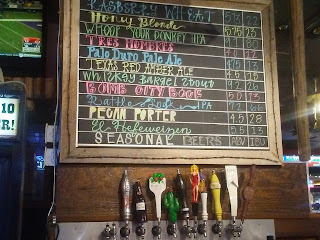 It seems Hallettsville has been having its own economic springtime. A year ago, things were available. Now, there are vacant spaces, but nothing available. One awesome small building is used by the city to store their Festival of Lights stuff, and so it sits with no sign, no visible use. On the square, there are new businesses and a lot of office space for lawyers and CPAs. We sure would like to be right there in the middle of town offering Anne's fitness and goal training and my organizational services. It's frustrating, but we both know things will work out one way or another. For now, we focus on food. Haha.... no really! Anne is one hell of a cook. I truly appreciate every single bite. For breakfast, I use leftovers to make something interesting for her and it's obvious she appreciates every bite, too. Food is our daily gift to one another. 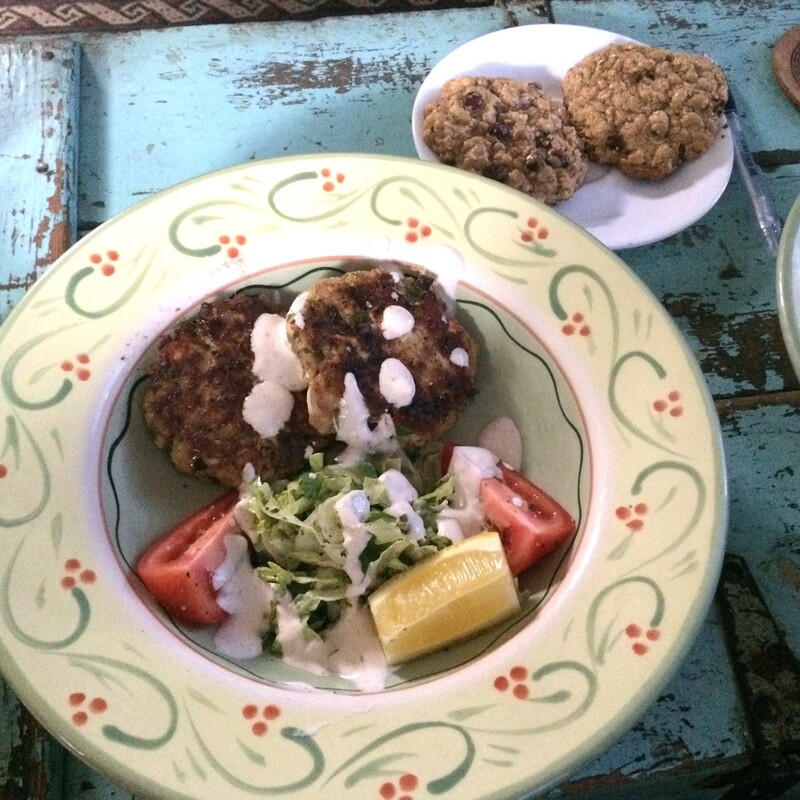 We make each plate pretty and well-rounded. We have eaten almost one entire freezer full of fish (one more to go). We eat out once every couple of weeks including this evening. We are going to a place we have never been before. The menu looks amazing, and we will both be able to sit back and enjoy being served beautiful foods. To the Texans out there, happy second spring, y'all... and happy autumn to the rest of yous guys! Every morning I get up with the sun or fog or whatever the morning decides and make coffee. Until recently, the coffee made itself. The threat of lethargy changed that pattern. Now we take coffee on the porch. Later, Abby makes breakfast, usually hardy and oozing deliciousness that should be considered a sin any morning other than a Sunday. We make plans about dinner and then we get to work. Abby toils at her projects that would be falling off a shelf if organized that way. The shelf could not support her addiction to doing things and doing them well. I meander the property, deciding the next big outdoor project and buzz in Abby’s ear all day, a reminder that I am there for support, should she need it. She rarely does. 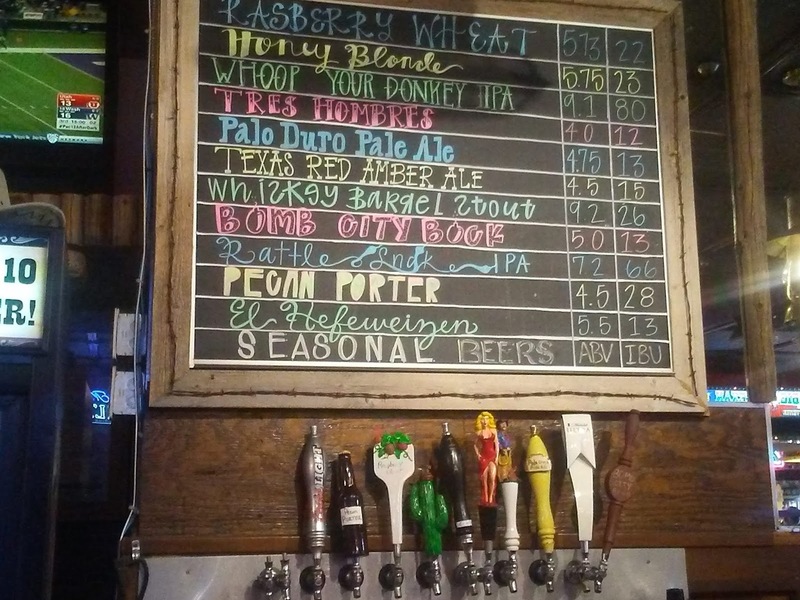 We meet for “beer-thirty” which has been decided on as a sort of RESET poised in our day to, God forbid, keep us from going too fast in the world, or check in if we need to realize why we might be moving too slowly that day. I miss hiking. 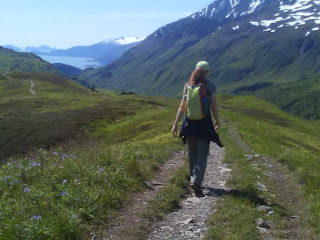 In Alaska, we were able to take some amazing hikes with a wonderful new friend and guide, Laura. She helped me to test my own limits and gave Abby and me confidence hiking alone on some of the trails throughout Alaska beyond our visit with her. There are no words for the views both from above and across an expanse of wildflowers into a bay and the majestic mountains in the background, to the rainforest type environment with giant trees and foliage that reaches out to touch you before you arrive. Here, the moss grows thick on trees, the ground is wet, rivers and streams ride alongside until inevitably you have to cross them over rocks or with one big stride, hoping not to drag a boot. 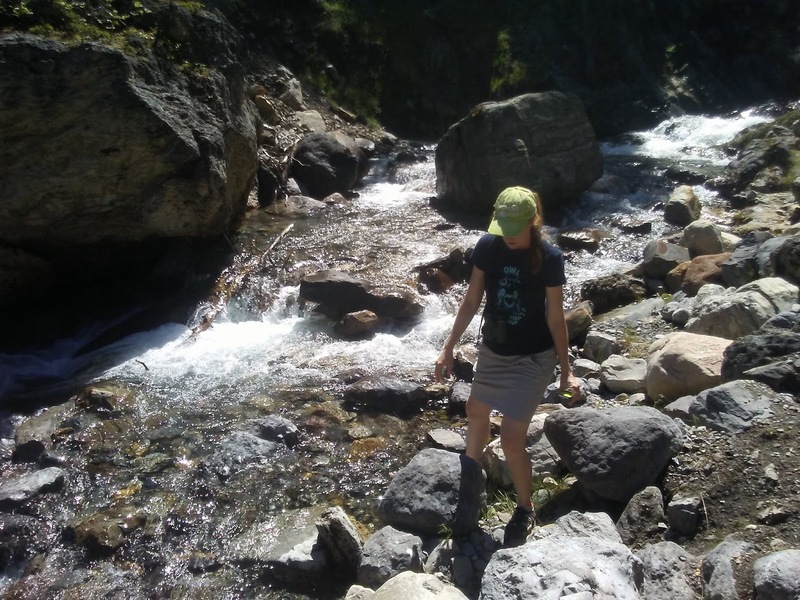 Even in the middle of summer, you might sweat a little, but there is so much to see and feel and hear, all stealing the conscious awareness away from anything as petty as a little warmth or heavy breathing. The altitudes we endeavored were not high, so the hikes are very doable for all levels. My biggest bane, the descent. My clients always come to me with complaints about knees and we get right to work strengthening them and I balk when they continue or insist their knees are “old”. Okay, Alaska has taught me that there is such a pain, but it is diagnosable and treatable. My knees are not old. They are inexperienced at certain things. With an Ibuprofen and a day of rest, they are back to new. Were it not for a mailbox an eighth of a mile away, down a dirt and gravel road with occasional rain-soaked potholes, there would be no hiking here. But, as the summer refuses to give up it’s relentless grip and yield to the celebrated fall, the sun beats down on the mailbox trek, bringing back the nostalgia of once beautiful hiking on our trips this year. Because the road follows the property, and it is a corner tract, it is encouraging to keep the park-like ambiance associated with those acres of the property. We work very hard at that. Meanwhile, it is all we can do to avoid the missiles falling from the sky in the form of acorns. Based on the noise they make hitting the metal roofs, if one were to actually hit us...or the cat...or the dog….there would most certainly be the sight of crimson streaming from one our skulls. Abby is rehearsing for a gig this weekend. I can hear her across the property amidst the thud of those acorns over my head. I finished the dishes from dinner (shepherds pie and salad) after we sat down and watch a movie. 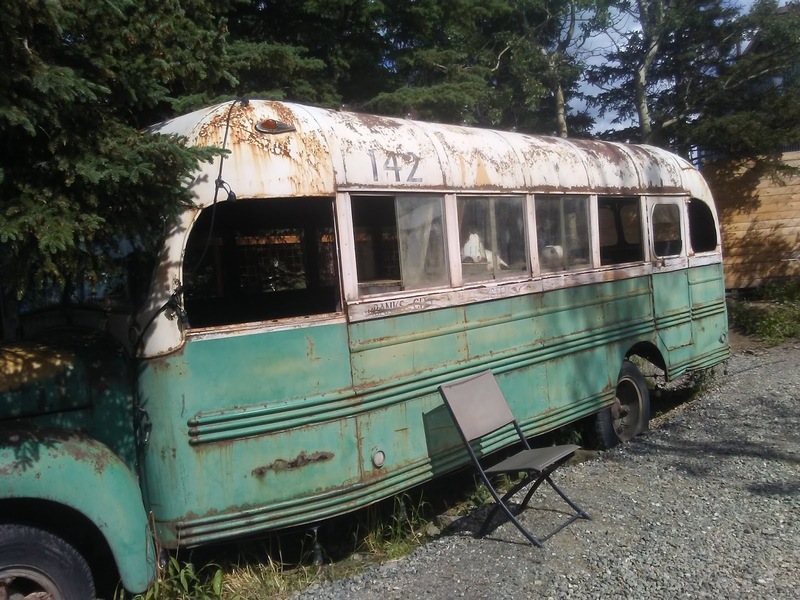 The movie was ‘Into the Wild’. 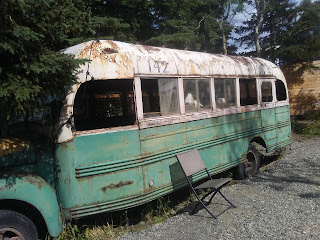 We saw the bus from the movie at the 49th State Brewery when we were in Denali, Alaska. The movie, is not so much about Alaska as it is a coming of age movie centered around a very common struggle, children and parents. To me however, it is a story of going to extremes, but stopping just short of killing yourself doing it. Of course, the movie ends tragically and has put me in a melancholy state, missing the open and vastness of carefree travel as well as the lessons it teaches, good and bad. I miss my parents too. One is gone forever, the other...well, I just need to go see. This is probably my last post about Alaska and the trip that lasted months, going up and coming back. The air is thick now with discussion of next year and the adventures that await us right here at home. 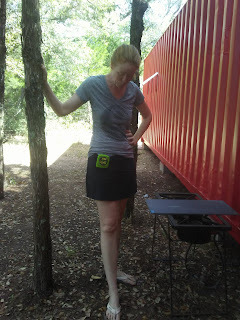 We started with a 40 foot container that was here on the property when I bought the place. It was FULLLLLLLL of stuff. About half of that stuff I moved for the previous owner to his own storage unit. The rest, I gradually gave away or threw away. Within about a year, I had an empty container. The roof was rusty and HOLE-y, which gradually rotted the floor out. It was going to take a lot of work to make this piece of junk worth anything at all. I wasn't sure I wanted to spend the time or money on such a risky project. I tried to give away this piece of junk, but alas, the trees surrounding it and the power line above it make it nearly impossible to remove without damaging something and no one wanted to risk trying to remove it. So it sat... and sat.... an eyesore... a plague upon my otherwise creatively crafted home. When Anne moved onto the scene, I described the various ideas I had for this junk heap. 1. Cut it up into recyclable strips or strips to use in fence making, 2. Stare at it some more, 3. Try to find someone AGAIN to try and remove it., 4. Design an outdoor kitchen and garage. 1. would take a lot of time and painful angle grinding. 2. Sigh.... 3. SIGH...... 4. Well, maybe if we could do it on the cheap. I drew up an idea and Anne was enthusiastic. She's an amazing cook, and the space in that part of the yard would be just perfect for the addition of a way to cook for a large group. The idea was for about 16 feet to be kitchen and 24 feet to be garage. The final numbers were chosen based on where the i-beams could support my garage shelving unit which ended up being about 14 feet kitchen and 26 garage. Anne ripped out the rotted floor. And I primed the areas that would be cut for doors. Then Anne scrubbed as much rust off of the roof as possible. I primed that and coated it with a heavy thick poly-elasto-super-goo. This is all with the hope that we can preserve what is left. Holes still exist un-repaired, but now they are OUR skylights!! Watch your head up there!! Next, after scraping and priming the interior, I sprayed the entire interior with exterior paint. My dad had given me a couple gallons of taupe colored stuff he had left over. This covered less than half of the garage. We bought more of that same color for the rest of the garage and decided on a nice gray blue for the kitchen. Painting with no floor... fun... Look at those skylights! Time for cutting!!! I cut with an angle grinder 2 large doors and 6 small windows. Each cut out pushes into an awning. AND Floor time! We decided a deck style floor would be better for this space. This allows the rain to go through instead of getting trapped and rotting the floor. From the kitchen side before the garage shelving moved in. We took the old deck from the garage area to make the new garage porch. The kitchen door is about 4 feet wide and the garage door is about 7 feet wide. Because the garage door was much larger and therefor heavier, AND it was set up on a deck, it only went up far enough for a bench, not a walk through. Garage door. Garage porch and bench. Garage shelving from my old garage area went right in to separate the space. We were able to move the entire garage over before we left for Alaska.